In this video tutorial, we’ll show you the most effective way to search Pinterest for images that are best suited for your brand, as well as guide you through the process of actually creating your mood board once you have your images! If you follow us on Instagram, you’ve probably seen us post mood boards that we’ve created for clients, but you might not know exactly what they are or why they’re important. 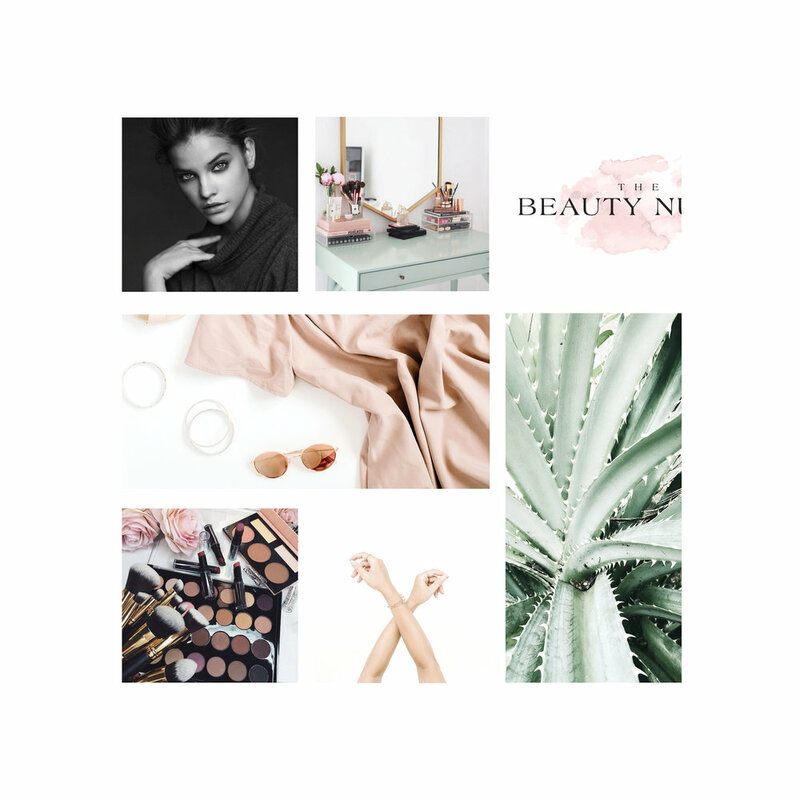 In this post, we’ll be giving you all of the details on what mood boards are, why they’re essential for your brand, and how to create your own without Photoshop! What Is A Mood Board And Why Is It Important? A mood board is a collection of photos and graphics that, when placed together, create the feeling you want customers or clients to associate with your brand. Creating an emotional connection with your target audience is one of the most effective ways to get them stay on your website and take action on your website. Think of it this way: Have you ever gone into a store that you knew immediately wasn’t your style? Chances are you didn’t hang out there too long. Whenever someone visits your site, you want them to feel like they’re in the *right place*. The first step to achieving this is getting clear on the emotional experience you want to create for your target clients or customers, and the second step is designing your site to enhance that emotional experience. But how does a feeling translate into a design? Your mood board answers that question. PLUS: When you take the extra step of creating an actual mood board graphic, you create a quick and easy brand resource for yourself. You can use your mood board to send off to a designer if you're hiring one or a team you're collaborating with or even a photographer that you're doing a styled shoot with. You can use it to refer back to when making important decisions for your business. You can even use it as a cute graphic for social media, blog posts when launching or talking about your brand. First, you need to nail down the mood of your brand. Start by picking 3 words to describe your brand. Feeling stuck? Think about how the words you want your client or customer to associate with your brand when they land on your homepage. For Go Live, ours might be: modern, edgy, fun. Try this fun practice: Close your eyes and say the words you picked from Step 1 out loud to yourself. What images come to mind? For example, maybe one of your mood words is “peaceful." When you close your eyes and imagine this word, you might see a quiet beach or garden. Write down any images that come to mind. Repeat this process for your colors as well. For example, for “peaceful," maybe this makes you think of soft blues and neutrals. Write down the colors you envision. Finally, visualize some fonts! For you, a “peaceful” font might be a soft handwritten script. Write those down! You’ll be referring to these visualization images in the next step. Head on over to Pinterest and search for the words you brainstormed in Step 2. We recommend keeping your board under 20 pins to make sure you are really picky with what photos to include. Try to look for photos, patterns, textures and fonts that fit your brand mood. Canva has photo layouts already pre-made for you for free! Just download the images from your Pinterest and upload them to Canva. You can sign up for your free Canva account at canva.com. Now that you have your mood board, share it with us! Use the hashtag #GoLiveGoals to show us what you're working on!